The student of François Mauriac’s works will be struck from the very first by the insistence with which Mauriac devotes himself to describing a precise milieu, a corner of land one can point to on a map of France. The action of his novels nearly always unfolds in the Gironde, the Bordeaux region, that old vine-growing country where chateaux and small farms have taken possession of the earth, or in the Landes, the country of pine trees and sheep pastures where the song of the cicadas vibrates in the lonely spaces, and where the Atlantic sounds its far-off thunder. This is Mauriac’s native country. He considers it his calling to describe this singular region and its people, especially those who own the land; and it can be said that his personal style partakes of the restrained energy which twists the branches of the grape vines and of the pitiless clarity of the light which falls from a torrid sky. In that sense, this writer, who is read the world over, is undeniably and markedly a man of the province, but his provincialism does not exclude the great human problems of universal scope. If one wants to dig deep one must first and always have a ground to thrust one’s pick into. Mauriac had a more than usually restricted childhood; he grew up in the shelter of a milieu in which the maternal influence made itself strongly felt, an influence which did not cease to act on his adolescent sensitivity. There is reason to believe that he had painful surprises later when he made contact with the outside world. Guided until then by pious advice, he had not suspected that evil dominated reality to such an extent as it appears in all the monotony and indifference of everyday life. Catholic by birth, brought up in a Catholic atmosphere which became his spiritual country, he has, in short, never had to decide for or against the Church. But he has on several occasions re-examined and publicly specified his Christian position, above all in order to question whether the demands a realist’s position made on the writer could be reconciled with the commandments and prohibitions of the Church. Apart from these inevitable and insoluble antinomies, Mauriac, as a writer, uses the novel to expound a particular aspect of human life in which Catholic thought and sensitivity are at the same time background and keystone. Hence, his non-Catholic readers may to a certain extent feel that they are looking at a world foreign to them; but to understand Mauriac, one must remember the one fact without which no account of him can be complete: he does not belong to the group of writers who are converts. He himself is conscious of the force that gives him those roots which permit him to cite a great and stern tradition when he probes souls overwhelmed by the weight of their faults and scrutinizes their secret intentions. Mauriac has been assured a central position in modern literature for so long and so unquestionably that the denominational barriers have almost lost all importance. Whereas many writers of his generation who had a fleeting glory are almost forgotten today, his profile stands out more and more distinctly with the years. In his case it is not a question of fame achieved at the price of compromise, for his sombre and austere vision of the world is scarcely made to please his contemporaries. He has always aimed high. With all the power and all the consistency of which he is capable, he has tried to continue in his realistic novels the tradition of such great French moralists as Pascal, La Broyére, and Bossuet. To this let us add that he represents a tendency toward religious inspiration which, particularly in France, has always been an extremely important element of spiritual formation. If I may in this context say a few words about Mauriac as a distinguished journalist, we must not forget, in the interest of European thought, his work in that field, his commentaries on daily events, the entire side of his literary activity which deserves public esteem. But if he is today the laureate of the Nobel Prize in Literature, it is obviously above all because of his admirable novels. Suffice it to name a few masterpieces such as Le Désert de l’amour (1925) [The Desert of Love], Thérèse Desqueyroux (1927) [Thérèse], and its sequel La Fin de la nuit (1935) [The End of the Night], La Pharisienne (1941) [A Woman of the Pharisees], and Le Noeud de vipères (1932) [The Knot of Vipers], without intending to say how far the artistic qualities of these works place them in a class apart; for everywhere, in the whole series of Mauriac’s novels, are found unforgettable scenes, dialogues, and situations, so mysteriously and so cruelly revealing. The repetition of the same themes could create a certain monotony, but his acute analyses and sure touch awaken the same admiration with each new encounter. Mauriac remains unequalled in conciseness and expressive force of language; his prose can in a few suggestive lines shed light on the most complex and difficult things. His most remarkable works are characterized by a purity of logic and classic economy of expression that recall the tragedies of Racine. The voiceless anxiety of youth, the abysses of evil and the perpetual menace of their presence, the deceitful temptations of the flesh, the ascendancy of avarice in the life of material goods, the havoc of self-satisfaction and pharisaism – these are the motifs that constantly reappear under Mauriac’s pen. Small wonder that in his wielding of such a palette, he has been accused of blackening his subjects without cause, of writing as a misanthrope. But the response he gives is that, on the contrary, a writer who bases his whole concept of the world on grace and sees man’s supreme recourse in God’s love has the feeling of working in a spirit of hope and confidence. We have no right to doubt the sincerity of this declaration, but it is evident that in practice sin attracts him more than innocence. He detests what is edifying, and while he never grows tired of portraying the soul that persists in evil and is on its way to damnation, he generally prefers to bring down the curtain at the moment when the consciousness of its misery is about to push the soul toward repentance and salvation. This writer limits himself to the role of witness to the negative phase of this evolution, leaving all the positive side to the priest, who does not have to write a novel. This simple phrase is perhaps the key that opens the secret of good in the chapters of Mauriac’s work, the secret of their sombre ardour and their subtle disharmony. His plunges into the midst of man’s weaknesses and vices are more than the effect of a mania pushed to virtuosity. Even when he analyzes reality without pity, Mauriac preserves a last certainty, that there is a charity which passes understanding. He does not lay claim to the absolute; he knows that it does not exist with virtue in the pure state, and he views without indulgence those who call themselves pious. Faithful to the truth which he has made his, he strives to describe his characters in such a way that, seeing themselves as they are, they would be stricken with repentance and the desire to become, if not better, at least a little less evil. His novels can be compared to narrow but deep wells at the bottom of which a mysterious water is seen glistening in the darkness. Dear Sir and colleague – In the few moments at my disposal I could speak about your work only in a sketchy manner. I know how much it deserves admiration; I also know how difficult it is to do it justice, to make general statements without ignoring the specific characteristics of your work. 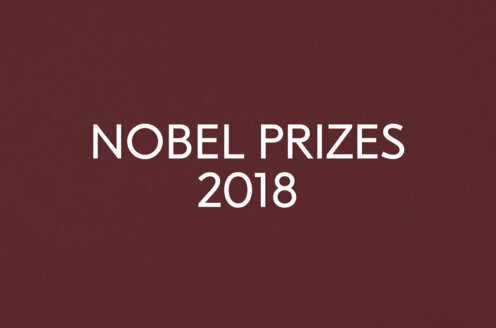 The Swedish Academy has awarded you this year’s Nobel Prize in Literature «for the deep spiritual insight and the artistic intensity with which you have in your novels penetrated the drama of human life». There remains for me to extend to you the most heartfelt congratulations of the Swedish Academy, this younger sister of your venerable Académie Française, and to ask you to receive the Prize from the hands of His Majesty the King.